They look great! Love the pumpkin fabric! I always think feeling creative is a good sign, I just got back to starting sewing again! They look awesome! Oooo, that fabric is really cute. 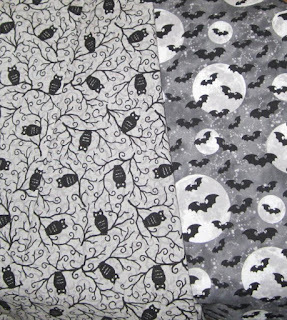 I have quite a stash of Halloween fabrics that I bought for 40s and 50s dresses that I might or might not ever get to. You're right, skirts -- especially if you make the same one -- are quick and easy. Think if it this way, you just got a really fun boost to your wardrobe! It's always fun to have a new skirt to wear. And thanks for listing the patterns. I know you do every time you do a new sewing project, but I never seem to register it. Damned squirrel brain. Thanks! 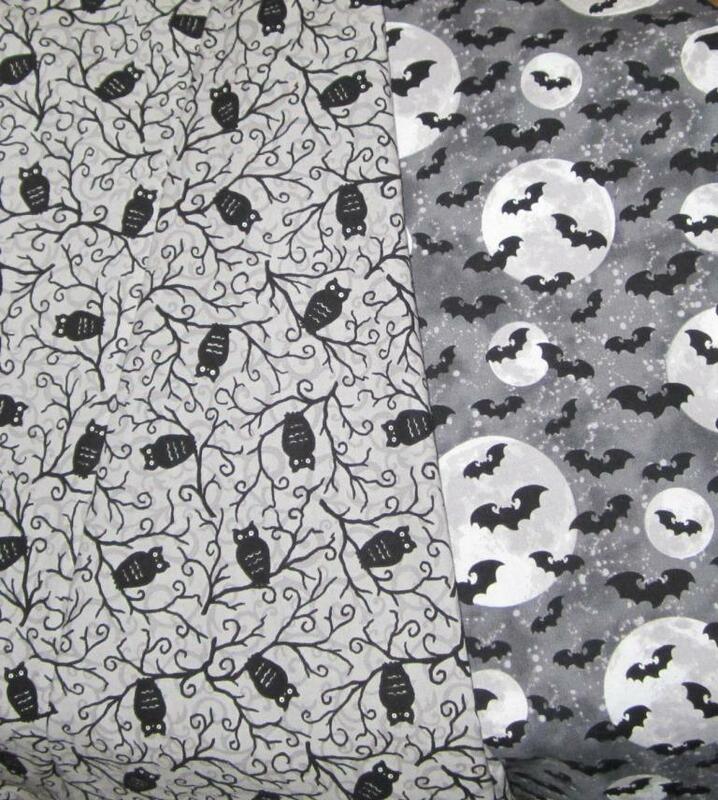 I especially love '50s style dresses in Halloween fabrics. I'd like to make more dresses, but when I sew a dress, I have to make alterations to the pattern and pay close attention... and sometimes I don't have the brain power for that. :P A familiar skirt pattern doesn't require much thought. Ha ha! Got an acorn or two rattling around up there? ;) You know... I kind of miss squirrels sometimes. I don't see many here in Colorado. Here it's prairie dogs building mounds on every bare patch of land. I hear you on the alterations! My patterns are all Frankinpatterns. My shoulders are broad from the swimming, waste thin, hips ... well, big. Normal dress patterns don't do the trick. I always have to do two sizes and hope for the best. HA! I agree, I prefer simple patterns for prints. Add anything more than lace trim, and it starts to feel too busy to me. Cool. Sorry I'm super late with the reply! Oooh, velvet, satin and lace ... how exciting! I am loving your skirts and the patterns! You look amazing! Lovely work, I love both skirts. Love the pattern and fabrics, on my way to purchase my own . Can't wait to start sewing !